Dr. Julie is the owner and founder of Healthy Start Dentistry, S.C..
She grew up in Stillman Valley, Illinois. 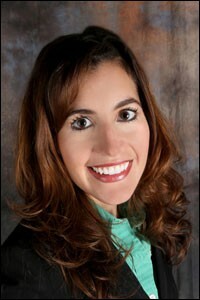 Dr. Julie graduated in 2006 with her Doctorate of Dental Surgery from Marquette University School of Dentistry. Prior to Marquette, she received her Bachelors of Science in Food Science and Human Nutrition from the University of Illinois at Urbana-Champaign. She is an active member of the American Dental Association, Academy of General Dentistry, Wisconsin Dental Association, and Greater Milwaukee Dental Association. She served three two-year terms on the Board of Directors for the Greater Milwaukee Dental Association from 2007-2013. In addition to this, Dr. Julie helped revitalize the continuing education program for the GMDA and served as the Chairman of Continuing Education for the GMDA from 2009-2015. She also served as both a Delegate & Alternate for Region 3 in the WDA House of Delegates for the past six years. In 2015, Dr. Julie recieved the Wisconsin Dental Association's New Dentist Leadership Award. She also enjoys volunteering each year for the Give Kids a Smile and Head Start Programs. She resides in Whitefish Bay with her husband, Dan and their two children, Savannah and Kyle. In her spare time, she enjoys spending time with family, running, and traveling.